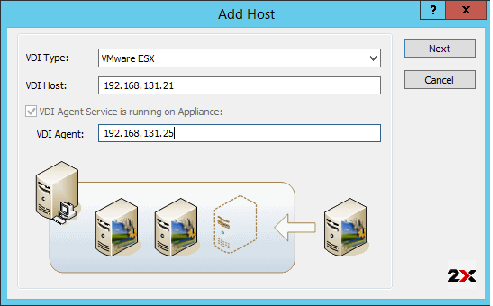 By adding the VDI Host to the Remote Application Server one can manage the virtual machines on the VDI Host, create guest clones and publish virtual desktops and applications from virtual guests. 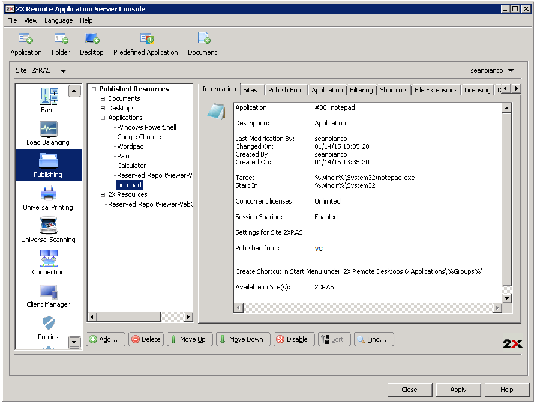 Different hypervisors will require different configuration and setup processes. This is due to the fact that ever every platform works differently. 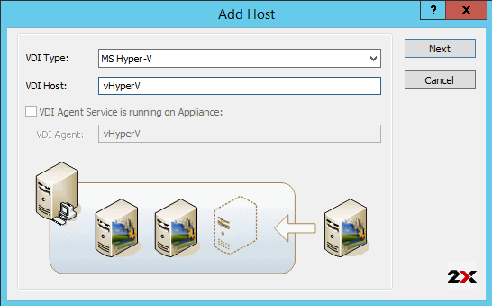 In the first step of the wizard select MS Hyper-V from the VDI Type drop down menu and enter the hostname of the VDI host. 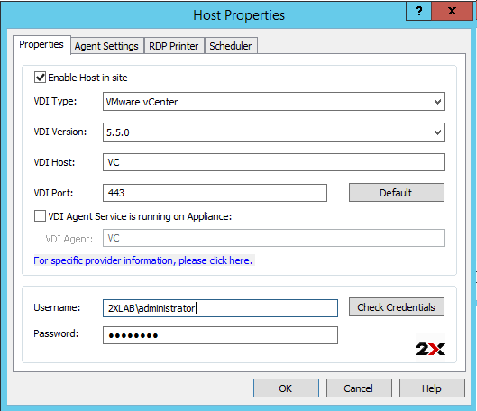 Click OK to add the new VDI Host to the Parallels Remote Application Server farm. Note: If the VMWare ESX server is managed by VCenter which have a Parallels VDI Agent installed on it there is no need to install the appliance on the ESX server. 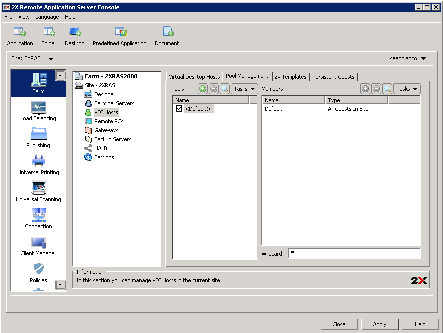 Proceed with the wizard to add the server to the Parallels Remote Application Server farm. 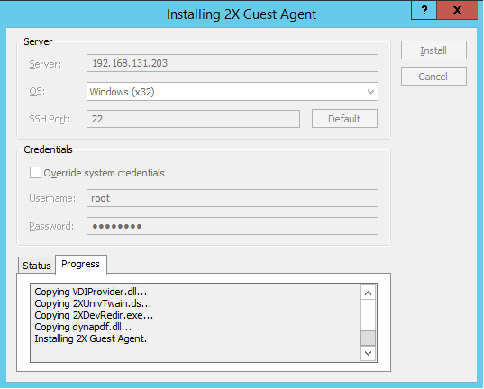 With these steps, an Administrator should have his desired VDI host configured and available within the Parallels Console. 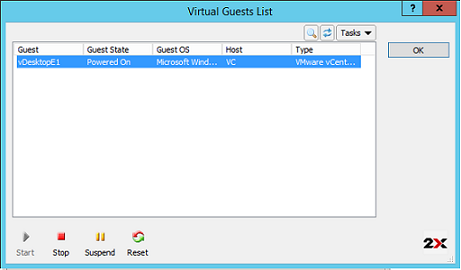 Guests are the virtual machines running on the VDI Hosts. 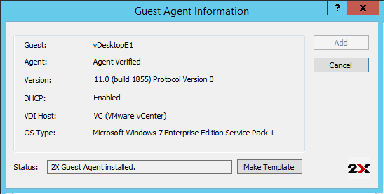 To manage the guests and publish resources from them, the Parallels VDI Guest agent has to be installed on the guest machines. 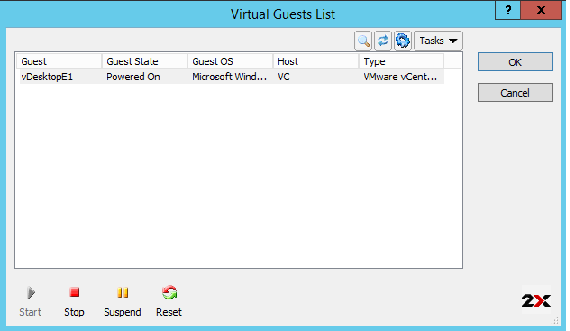 To list and manage guests on a VDI host, highlight the Host in the Parallels Console and click Virtual Guest Settings. 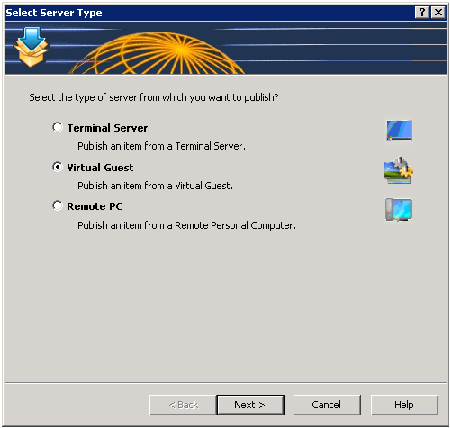 To configure the default connection timeout and other settings related to the communication between the Parallels Remote Application Server and the guest, select Default Settings from the Tasks drop down menu. 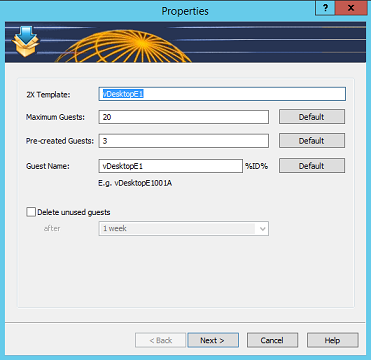 Pools are used to manage extensive number of guests from VDI hosts. 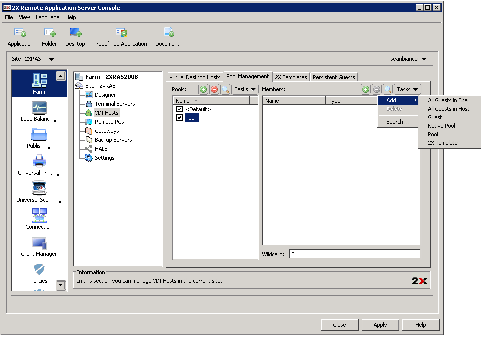 Pools can be managed from Pool Management tab in the VDI Hosts node. To create a new pool select Add from the Tasks drop down menu in the Pools section and specify a pool name. To add members to a pool, highlight the pool name from the Pools section and select the specific action from the Addin the Members section Tasks drop down menu. Note: Parallels Remote Application Server also supports native pools of certain virtualization solutions. 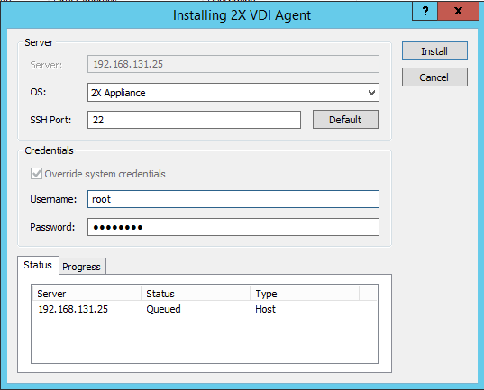 Hence should you have a pool already setup on one of your VDI hosts, you can add that native pool to a Parallels pool. 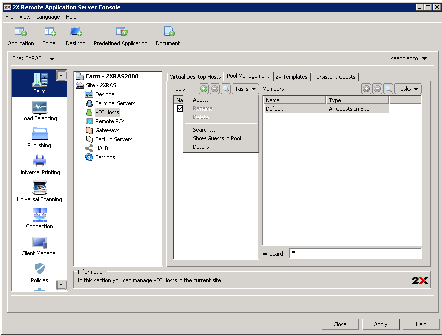 In the third step of the wizard you have to specify SysPrep details, mainly: - Owner Name - Organization - Administrator password - Specify if virtual guests should be part of a workgroup or of a domain - In the last step of the wizard specify the operating system licenses used by the virtual guests. 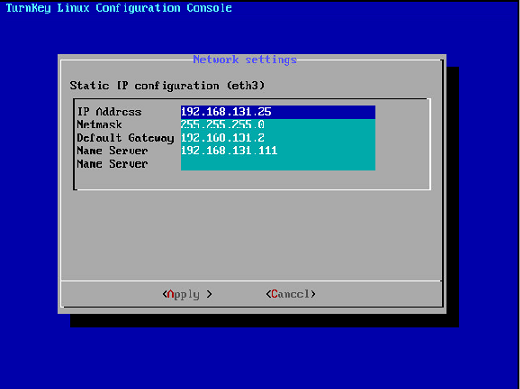 At this stage you can proceed and publish desktops from the virtual guests. 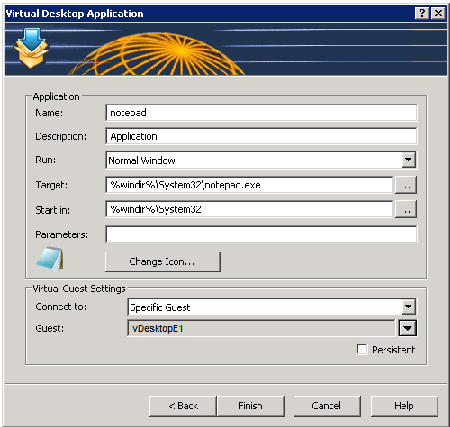 Prior to updating a Template, for example to apply a number of security patches so new virtual guests are created with such patch installed, switch the template to maintenance mode by highlighting the template name and select Maintenance from the Tasks drop down menu. 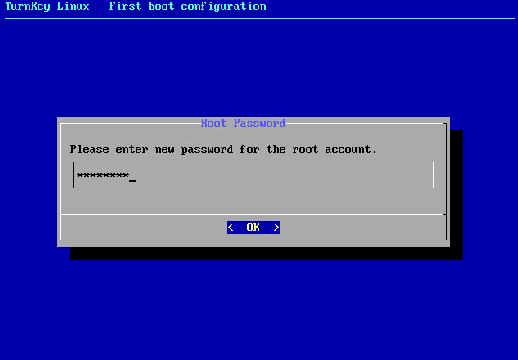 Once this is done, an Administrator can choose to publish Desktops or Applications from Virtual machines, automatically create clones of a VM based off a template based upon user requests and have extensive management of resources published through the console.